Apart from historical landmark information and the occasional quotation about ME/CFS from a medical journal published in more medically enlightened times, the following illustrations are mainly taken from the “grey” literature on ME/CFS. Grey literature includes international research conference proceedings, presentations and papers written by researchers and/or clinicians that have not been published in peer-reviewed journals. These include, for example, articles written for patients’ support group magazines such as The CFIDS Chronicle during the 1980s and 1990s (when the Chronic Fatigue & Immune Dysfunction Syndrome [CFIDS, a US term for ME/CFS] Association of America produced excellent Chronicles including “A CFIDS Primer” and “Physicians’ Forum” written by leading clinicians and researchers) and articles or reports (including case reports and parliamentary reports) that have not been published by commercial journals. 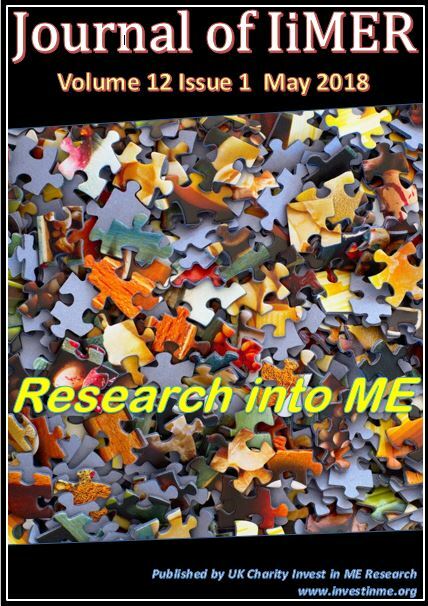 There is a wealth of important information about ME/CFS in the grey literature that has been largely ignored by those intent on denying the existence of ME/CFS as an organic disorder. Indeed, the UK NHS Policy Plus Guidance “Occupational Aspects of the Management of Chronic Fatigue Syndrome: a National Guideline” (2006/273539 / DH Publications) with which the three Principal Investigators of the PACE Trial (Professors Peter White, Michael Sharpe and Trudie Chalder) were involved states that the grey literature on “CFS” was not comprehensively searched in the preparation of that national guideline. The early CFIDS Chronicles described CFIDS (i.e.. ME/CFS) as a complex illness with a constellation of symptoms that can resemble many disorders, including multiple sclerosis, AIDS-related complex (ARC), Lyme disease, fibromyalgia, post-polio syndrome and autoimmune diseases such as lupus. Listed symptoms included profound fatigue especially after exercise; low grade fever; chills and night sweats; sensitivity to heat and cold; sore throat; swollen glands; muscle weakness; muscle twitching; myalgia (often a vice-like pain in muscles); sleep disturbance; headaches of a new type; chest pains; irregular heartbeat; shortness of breath; dizziness and balance problems; light-headedness; seizures; numbness or burning of the face or extremities; dryness of the mouth; rashes; allergies and sensitivities to odours, chemicals and medication; abdominal pain; diarrhoea; bladder problems; migratory arthralgia without joint swelling or redness; transient visual scotomata (spots before the eyes); blurring of vision; eye pain; photophobia; frequent prescription changes in spectacles needed (because of difficulty in maintaining accommodation); hair loss; hyperacusis; forgetfulness; irritability; confusion; difficulty thinking; inability to concentrate; spatial disorientation; dyslogia; intolerance of alcohol; panic attacks and emotional lability. In the Summer 2008 issue of The CFIDS Chronicle, Anthony Komaroff, Professor of Medicine at Harvard, editor-in-chief of Harvard Health Publications and senior physician at Brigham and Womens’ Hospital, Boston (who has published more than 230 research papers on ME/CFS) wrote an article listing the top ten biomedical research findings in ME/CFS. These are summarised at http://www.prohealth.com/library/showarticle.cfm?libid=14063 and include evidence that (1) many patients with ME/CFS have no diagnosable psychiatric disorder and that ME/CFS is not a form of depression; (2) there is a state of chronic, low-grade immune activation, with evidence of activated T cells and evidence of genes reflecting immune activation, as well as evidence of increased levels of cytokines; (3) there is substantial evidence of poorly-functioning NK cells (white blood cells that are important in fighting viral infections); (4) there is evidence of white and grey matter abnormalities in the brain; (5) there is evidence of abnormalities in brain metabolism (and evidence of dysfunction of energy metabolism in the mitochondria); (6) there is evidence of abnormalities in the neuroendocrine system, particularly in the HPA axis but also in the hypothalamic-prolactin axis and in the hypothalamic-growth hormone axis; (7) there is evidence of cognitive difficulties, especially with information processing, memory and/or attention; (8) there is evidence of abnormalities in the autonomic nervous system (including a failure to maintain blood pressure, abnormal responses of the heart rate, and unusual pooling of blood in the legs, as well as low levels of blood volume); (9) there is evidence of disordered gene expression, especially in those genes that are important in energy metabolism and in genes connected to HPA axis activity, to the sympathetic nervous system and to the immune system; (10) there is evidence of frequent infection with viruses, especially herpesvirus and enteroviruses. Laboratory abnormalities in ME/CFS include abnormal SIgA; weakly positive IgG3 (linked to gastrointestinal tract disorders); positive IgM; increased T4:T8 ratio (which always corresponds with disease severity); very low numbers of NK cells, with decreased cytolytic activity; low levels of circulating immune complexes (two-thirds of ME patients have insoluble circulating immune complexes); autoantibodies (especially antinuclear and smooth muscle); a particular HLA antigen expression; PCR evidence of abnormalities in muscle; a positive water loading test with erratic arginine-vasopressin release; a significant prolactin release in response to a single buspirone challenge; positive SPECT scans (which show reduced blood flow through the brain stem in a particular pattern not found in any other illness or disease process apart from ME/CFS – QJMed 1995:88:767-773); abnormal fMRI scans; abnormal EEG (80% of ME patients show prolonged jitter); a positive VP1 test; positive mast cells; low pancreatic exocrine function; low copper response test; anomalies in trace element metabolism, especially low red blood cell levels of magnesium, zinc and chromium; low potassium levels; low peripheral oxygenation levels, with poor perfusion and pulsatilities, and increased hsCRP. According to Peter Behan, Professor of Neurological Sciences at the University of Glasgow, as these abnormalities have been shown to occur with such regularity, if they are present and if the clinical picture is right, then a firm diagnosis of ME can be made. In 2001, evidence was presented by SCM Richards et al (including Anthony Cleare who co-authors papers on ME/CFS with Simon Wessely) at the British Society of Rheumatologists’ Conference in Edinburgh showing that 53% of ME/CFS patients were excreting in their urine significant levels of creatine and other muscle-related metabolites including choline and glycine, indicating on-going muscle damage, as creatine has been shown to be a sensitive marker of muscle inflammation and is objective evidence of muscle pathology. Given the prevailing editorial bias of many medical journals on the topic of ME/CFS and the sophistry of the Wessely School, the important information contained in the grey literature is in danger of disappearing, but patients, clinicians and non-medical policy-makers alike need ready access to such central information in terms that are quickly and easily understood. This present document makes no attempt to provide a comprehensive overview of the grey literature on ME/CFS or to summarise the proceedings of international clinical and research conferences since 1988, but hopefully the illustrations provided will strengthen patients’ correct perception that they suffer from a serious organic disease that is neither reversible nor curable by directive psychotherapy as asserted by those associated with the MRC/DWP PACE Trial. However, people with ME/CFS and those who care for them may wish to source for themselves the presentations made at the following major conferences on ME/CFS; these include the US NIAID (National Institute of Allergy and Infectious Diseases) Symposium held at the University of Pittsburgh in September 1988; the Rhode Island Symposium in 1988; the Rome Symposium in 1988; the San Francisco conference in April 1989; the British Post-Graduate Medical Federation Conference in London in June 1989; the Los Angeles International Conference in February 1990; the First World Symposium held in 1990 at Cambridge University, UK; the Charlotte Research Conference in November 1990; the Canadian Workshop at the University of British Columbia, Vancouver, in May 1991; the Dublin International Symposium in May 1994 (held under the auspices of The World Federation of Neurology); the First World Congress (also under the auspices of The World Federation of Neurology) in Brussels in 1995; the Second World Congress in Brussels in September 1999; the Bloomington Conference in Minnesota in October 2001, and the International Clinical and Scientific Meetings presented by the Alison Hunter Memorial Foundation in Australia, especially the Third International Meeting in Sydney in December 2001; the biennial International Research and Clinical Conferences hosted by the American Association of CFS (AACFS, now the IACFS / International Association of CFS), including the Albany, New York, conference in October 1992; the Fort Lauderdale, Florida, conference in October 1994; the San Francisco conference in October 1996; the Boston, Massachusetts, conference in October 1998; the Seattle conference in January 2001; the Chantilly, Virginia (Washington D.C.) conference in January – February 2003; the Madison, Wisconsin, conference in October 2004, the Professional Research Conference in Fort Lauderdale in January 2007, and the numerous Scientific Workshops such as the one co-sponsored by the US National Institutes of Health in June 2003 on neuro-immune mechanisms in ME/CFS and the ME Research UK (MERUK, formerly MERGE) workshops (including the Royal Society of Edinburgh funded Workshop in 2003, the MERUK Colloquium in July 2006 and the MERUK International Research Conference on 25th May 2007 at Edinburgh), the aim of all these conferences being to facilitate links between research scientists and clinicians working towards the common goal of understanding the biomedical basis of ME/CFS. Given that much of the knowledge and information about ME/CFS quoted below has been circulating for over quarter of a century, how is it possible that Wessely School psychiatrists are even today permitted to ignore and/or dismiss it? Professor Michael Sharpe, who it seems has now left Edinburgh and is back in Oxford, recently responded to criticism of the PACE Trial (doi:10.1016/j.jpsychores.2011.03.003) by attempting to justify the use of the Oxford criteria (of which he was lead author) stating: “While we excluded people with generally accepted organic brain diseases…we did not exclude people who described their symptoms as those of ME”, yet ME is a WHO-classified neurological disorder, so Sharpe’s argument is intellectually inconsistent. His position itself is intellectually inconsistent because he bases it on “CFS/ME” being “disabling longstanding fatigue” and gives no credence to the presence of the symptoms that distinguish ME/CFS from chronic fatigue. Despite the proselytising of the Wessely School, the golden rule of ME/CFS experts is: if a patient improves with exercise, that person does not have ME. Moreover, unlike those with other post-viral states who report that they catch opportunistic infections, people with classic ME/CFS do not succumb to every passing common cold because they have incredibly up-regulated interferon production, which is another distinguishing feature. Why are the UK patients’ support charities not vigorously refuting the false reasoning of the Wessely School about ME/CFS on every possible occasion instead of colluding with it? The relentless degree to which the Wessely School disseminate misinformation about ME/CFS needs to be equally relentlessly countered with the dissemination of the biomedical evidence that shows them to be wrong, otherwise they will continue to suppress and/or disregard it and patients will continue to suffer iatrogenic harm. The following illustrations present a picture of classic ME/CFS that is nothing like the Wessely School’s “cognitive behavioural” model of “CFS/ME” which ignores the key symptoms of ME/CFS and is based on “fatigue” and which many people believe is such a travesty of both medical science and human rights. 1956: Dr ED Acheson, later to become Sir Donald Acheson, UK Chief Medical Officer, coined the term “benign myalgic encephalomyelitis” (ME). 1964: ME was recognised and registered as an industrial disease and as grounds for compensation that has been paid as a weekly pension to a former Royal Free Hospital nurse since 1964; this was confirmed at a meeting at the headquarters of the Royal College of Nursing on 2nd May 1989. 1969: the World Health Organisation classified ME as a neurological disorder. 1978: The Royal Society of Medicine accepted ME as a nosological entity. 1981: The Lancet published a letter from Professor CS Goodwin about necessary criteria for a diagnosis of ME: “Firstly, symptoms and signs in relation to muscles, such as recurrent episodes of profound weakness and exhaustion, easy fatiguability, and marked muscle tenderness. Secondly, neurological symptoms or signs – pyramidal or cranial nerve lesions, especially affecting the eyes; or weakness of peripheral muscles as demonstrated by the voluntary muscle test; or some loss of peripheral sensation; or involvement of the autonomic nervous system (orthostatic tachycardia, abnormal coldness of the extremities, episodes of sweating or pallor, constipation and bladder disturbances. Thirdly, biochemical abnormalities, such as raised urinary creatine, low serum pyruvate, or raised serum myoglobin, or an abnormal electrophoresis pattern with raised IgM” (Lancet, 3rd January 1981). 1985: Dr RW Gorringe from New Zealand published “Diagnostic Criteria and Tests for ME” in October 1985, which provided a comprehensive and useful diagnostic tool; Gorringe warned that “the commonest mistake doctors make is failing to take a wide enough view and cover an adequate systems review”. He noted the classic symptoms of ME including prominent but intermittent chest pain (severe enough for hospital admission); sore muscles of the shoulders, neck and back; muscles that become shaky and tremulous; frequency of micturition; irritable bowel (colicky abdominal pain and loose bowels); moist chest; cough; palpitations; jerkiness of limbs; difficulty in co-ordination; paraesthesias; shooting pains up nerves; blurred vision; burning pain behind the eyes; oesophageal spasm; food allergies; sensitivity to light; intermittent swollen glands and sore throat; dizziness and nausea. Gorringe noted evidence of malabsorption and hypoglycaemia (in ME/CFS patients, blood sugar is known to be under poor control); he pointed out that on TFT (thyroid function test), TSH was often normal but that T3 may be low, with subclinical hypothyroidism. He also noted abnormal immunoglobulins, particularly IgA (often low) and IgM (which goes up in a relapse but may sometimes be depleted and become markedly decreased), and abnormal CICs (circulating immune complexes), with low C3 and C4 (the modified immunoglobulins do not make proper complexes with allergens taken in, resulting in (insoluble) circulating immune complexes in the central nervous system, in the joints and in the kidneys, which can be a very hazardous state). 1987: in his Medical Address at the AGM of the ME Association on 25th April 1987, James Mowbray, Professor of Immunopathology, St Mary’s Hospital Medical School, London, said: “When we meet a new infection…the first thing we do is to make IgM antibodies and then in a matter of a few weeks we switch over and make IgG antibodies (which) last for a long time and protect us. If someone has IgM antibodies they have either been recently infected or they are still infected….We developed a technique using a specialised antibody…which detects a protein in enteroviruses which is the same in all 72 enteroviruses (and) we can use that antibody to look for the virus protein in the blood. Doing that, we have been able to find a very large fraction of the ME patients have got an enterovirus antigen….Just because you find virus proteins in the blood, does that mean they are infected? Yes, it does….The virus is present in the intestine. It is also shown to be present in the muscle….Here is a muscle biopsy where you see the dark brown infective muscle cells, where the probe has bound to the virus genes in the muscle cell. (There are) two ways which demonstrate that in the muscle (in) a patient with ME, there is an enterovirus….What does it do in the muscle?…. (It) does the thing that viruses usually do, they infect the cell and take over…saying ‘You must switch off all your genes and read only my genes’. So (the virus) switches off all the genes that produce energy to the cells….The virus is being made and is switching off host genes stopping the cells’ own energy production. If you now exercise, you rapidly run out of energy in the muscle and that has been shown by sophisticated techniques….Whilst (the virus) is there, it severely limits the ability of the muscle to work….The thing that seems to make it worse is exhausting the muscle….Sufferers know, they have a kind of feeling for it, especially as time goes on, about what is going to be too much….When you have got the disease it is a good basis for saying do not use up all the muscle energy, do not get to that stage. It may lead to more virus affecting that muscle….It is clear that it is not only exhaustion in the muscle but also in the brain….Either muscle or brain overdoing it is the same….if you live within the limits of the disease while you have got the disease, I think you will do much better and we have now got some good scientific background”. 1987: At the CFS Society, USA, conference held on 4th-7th November 1987, Infectious Diseases specialist Dr Mark Loveless from the University of Oregon said the disease was very prevalent, that the musculoskeletal, neurological and vestibular systems were involved, and that there are cardiovascular, gastrointestinal and immunological abnormalities. At the same conference, Dr Alfred Johnson said that 97% of (ME/CFS) patients have allergies and that allergic patients have high helper (T4) cells and low suppressor (T8) cells, causing over-reactivity. Dr Paul Cheney confirmed that the T4:T8 ratio is elevated in two-thirds of cases, and that this is considered a more reliable marker of the illness than other markers. He said there are “impressive abnormalities” in mitogen stimulus status (an immune function test) and that symptoms are caused by a hyper-immune response. He noted that MRI scans showed characteristic brain lesions in 77% of patients tested (88 of 114 patients) as determined by two independent neurologists. 1988: Professor James Mowbray’s team at St Mary’s Hospital, London, began to offer a test for the detection of enteroviral protein in ME patients. VP1 stands for Viral Protein 1, described in the ME Association’s magazine in Autumn 1988 as being: “one of four proteins forming together the viral capsid which surrounds the viral genetic material. There is a particular portion of the VP1 protein which is present in all 72 different enteroviruses”. 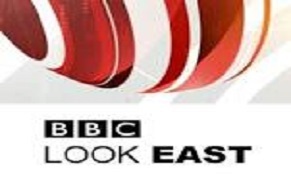 The ME Association offered the test to its members for an administration fee of £3. The following year, at the Clinical Session of the 1989 AGM of the ME Association, Dr Byron Hyde from Canada referred to the VP1 test, confirming what Professor Mowbray himself had said: ME patients with a positive VP1 test become chronic, whilst those with a negative VP1 test recover. Despite this, the VP1 test was dismissed by psychiatrist Simon Wessely as “unsuitable for routine clinical use” [Lancet 1989:1:1028-9] and it is no longer available in the UK. 1988: An article by Elsie Brody (Occupational Health, 1988; 446-447) listed key symptoms of ME, including severe headaches, neck pain, pain in back and limbs, pins and needles in limbs, vertigo, severe sweating, impaired memory and difficulty with words, panic attacks (now known to be due to hyperadrenergic orthostatic intolerance), tachycardia, extreme fatigue, disturbed sleep, muscle weakness and tenderness, diplopia, photophobia and chest pain. Mrs Brody advised that: “As OH professionals, it is our duty to recognise the disease early (and) educate management on recognising ME”. 1988: The ME Association’s magazine “Perspectives” carried an article on “Viruses and “ME” by consultant microbiologist Dr Betty Dowsett, who wrote: “Many viruses (including enteroviruses) can enter and alter the function of the immune cells specially designed to destroy them. It is important to recognise that these immune abnormalities are secondary to the virus infection….The mopping up of free viruses in the bloodstream can be counter-productive if excess antibody is produced. The insoluble ‘immune complexes’ that result can be trapped in the blood vessels and tissues and…maintain infection in the body….The chemical composition of a virus may mimic that of a normal body component (such as brain or muscle protein) whereupon the immune attack is misdirected against the host while the virus disappears unnoticed. Cardiac and other complications in ME are an example of such an anomaly”. 1988: At a meeting on ME held at The Royal Free Hospital on 16th May 1988, Professor Tim Peters from Northwick Park Hospital said his team had found abnormalities of Type II muscle fibres (anaerobic) in ME patients, which were atrophied, with hypertrophy of Type I muscle fibres; he had measured total RNA in muscle cells and found it to be significantly reduced in ME patients (if there is a decline in RNA, there is a decline in the ability to make muscle protein – infusion of tag-leucine showed overall metabolism is clearly reduced and the rate at which muscle is being formed is reduced). 1989: Professor Peters (then Professor of Clinical Biochemistry and Consultant Chemical Pathologist at Kings College Hospital, London) wrote on page 24 of the magazine InterAction No: 3 of the charity ME Action, now AfME: “Exciting studies have recently been reported of persistent viral RNA in biopsies from patients with ME….Based on these observations we have started to investigate muscle protein synthesis; that is, the ability of muscle to repair itself…in patients with ME. Measurements of muscle RNA, the machinery for protein synthesis, showed consistently reduced amounts in their biopsies. Studies of whole body and, specifically, thigh muscle protein synthesis rate in these patients show reduced values and thus a pattern is beginning to emerge of persistent viral infection, and possibly re-infection, interfering with the machinery for making tissue protein and thus impairing protein synthesis”. Discussing the view of those who claim that changes in mitochondrial function and impaired muscle synthesis are merely secondary events due to lack of use of the muscles, Professor Peters continued: “It is hard to see how (this) can explain the persistence of enteroviral RNA in muscle fibres….immobility leads to a selective loss of Type I fibres, a feature not seen in patients with ME”. The same issue of InterAction reported on page 22 the neurological abnormalities found by Carolyn Warner and her team from Buffalo, NY (elevated IgG synthesis, elevated CSF cell count, prolonged visual evoked response latency, abnormal EEG and MRI lesions, and neuromuscular abnormalities including over 20% polyphasic motor units on quantitative EMG, inflammatory infiltrates and Type II fibre atrophy, these being reported in Neurology 1989:39:Suppl 1: 420). Commenting on these abnormalities, Dr Goran Jamal, Consultant in Clinical Neurophysiology at The Institute of Neurological Sciences, Glasgow, affirmed that those results are consistent with disturbed immune function and persistent infection, and that it proves once again that one can find neurological abnormalities if one looks. Still in the same issue of InterAction, Dr Jamal himself wrote on page 26 about muscle fatigue in ME: “In recent years a lot of evidence has been accumulating to suggest that the fatigue in ME is organic in nature….Our findings clearly showed evidence of disturbance of transmission of electrical impulses along muscle fibres. This study… provided one of the first and strongest indications for the organicity of the syndrome. This work has been reproduced again by our group and elsewhere. In addition we have looked at other groups of patients with various psychiatric illnesses using the same technique of single fibre electromyography, and these produced absolutely normal findings….Examination of individual muscle fibres under electron microscopes…showed gross abnormalities of the structures involved in providing energy for the muscle fibres….NMR (nuclear magnetic resonance) showed evidence of disturbed muscle metabolism….Strong evidence of the presence of viral particles in the muscles of ME patients has also recently been shown….Any assumptions that the fatigue in patients with ME is entirely ‘ mental’ or ‘psychogenic’ is not only without any foundation but also ignores all this solid scientific data”. 1989: Dr Paul Cheney from the US presented his findings at the San Francisco CFS Conference on 15th April 1989; 70% of ME/CFS patients tested had depressed levels of salivary IgA (SIgA), and ME/CFS patients with low SIgA levels tended to have high levels of insoluble circulating immune complexes. Microscopic analysis of tissues showed lymphocytic vasculitis (lymphoid infiltrates in the blood vessel wall) in 75% of patients tested. 1989: In a talk given on 15th May 1989, Peter Behan (Professor of Neurological Sciences at the University of Glasgow) said that ME is a viral infection of the gut with gross exhaustion and tachycardia accompanied by malaise. He said the real tragedy of ME is the far-reaching effects on the medical profession of two not-very-talented psychiatrists in 1977, one of whom had only just qualified. Behan stressed the importance of separating psychiatric fatigue from ME fatigue. He explained that the brain produces Interleukin 1 (IL-1) as a result of the cell being stimulated by a virus, and IL-1 will cause the liver to be abnormal; it will affect muscle and nerve cells, and it is found in extreme fatigue. He said that in the majority of true ME cases, IL-1 levels are extremely high. 1989: In the summer issue of the ME Association’s magazine, Dr David Smith wrote about slow-onset ME: “I am afraid that there is probably less chance of a spontaneous cure, and in that disease undoubtedly there is a natural progression of symptomatology….I do believe that the slow onset type persistent enterovirus infection is ME”. In “A Letter from our President” in the winter issue of the ME Associations’ magazine, Dr Melvin Ramsay wrote: “The onset of the disease may be sudden or gradual….The crucial difference between ME and other forms of postviral fatigue syndrome lies in the striking variability of the symptoms, not only in the course of a day but often within an hour. This variability and intensity of symptoms is not found in postviral fatigue states”. 1989: In December 1989 the magazine of the Australia and New Zealand ME Society (ANZMES Meeting-Place issue 32) reproduced an article by Thomas English MD, formerly Assistant Clinical Professor of Surgery at Duke University in the US who had to retire due to ME/CFS. English wrote: “I issue a challenge to medical sceptics who suggest that CFIDS (ie. ME/CFS) is only a form of depression or ‘psychoneurosis’. The challenge is this. Give yourself a one month course of alpha-interferon. Don’t be timid; get your serum levels up above 300 where mine have been. Have the courage of your convictions; experience for 30 days what patients have endured for years….If our illness is as trivial as you suggest, each of you should be willing to step away from your pseudo-intellectual façade of CFIDS scepticism. After 30 days, tell us what you think. I daresay that no CFIDS critic should be taken seriously until he has done this”. 1990: On 17th March 1990 Professor Peter Behan from Glasgow made a presentation to the Mid-Anglia branch of the ME Association in Cambridge. He began by giving an over-view of the historical perspective and went on to discuss the cardinal symptoms of ME, these being (1) onset precipitated by a viral infection; (2) local and generalised fatigue arising from the brain as in multiple sclerosis; (3) post-exercise myalgia, especially in the shoulder girdle, back, neck and left side of the chest; (4) mental changes, including poor control of emotions, poor task performance and cognitive disturbances; (5) sleep disturbance; (6) cardiac disturbances (a significant number have cardiac symptoms) and (7) vestibular disturbance, with dysequilibrium and sometimes true vertigo. He discussed the hypothalamic dysfunction, noting that 50% of ME patients cannot produce steroids in response to stimulus. He presented objective evidence of Type II muscle fibre atrophy on histological section and evidence of mitochondrial damage, and showed identification of enteroviral RNA in muscle. 1990: On 10th- 12th April 1990 the First World Symposium on ME/CFS was held at the University of Cambridge. Speakers presented evidence on acute, latent, persistent and reactive virus/host interaction; on cytopathological studies; on electron microscopy studies; on immunological abnormalities, genetics and autoimmunity; on interferons and their role in virus infections; on muscle studies of abnormal metabolic function; on cardiac disease in ME/CFS; on lesions in the brain and on paediatric ME/CFS. The predominant view was of a persistent or chronic viral infection which either gave rise to, or was the result of, a continuing abnormal immune response and abnormalities of the muscle and central nervous system. Evidence was presented of an infective vasculitis in ME/CFS. 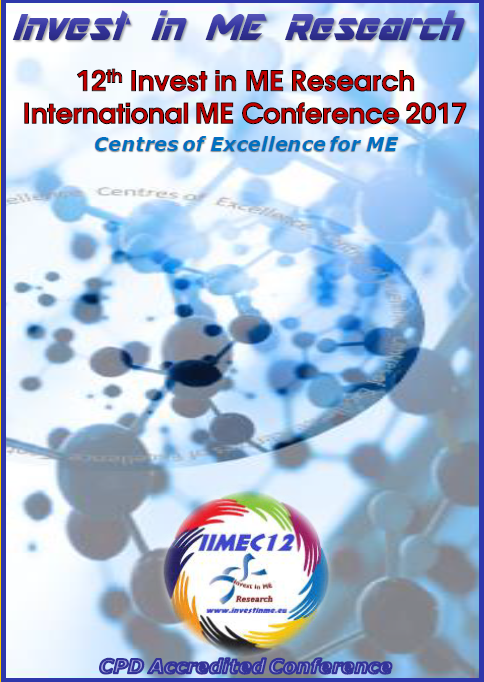 The Symposium brought together leading international researchers to review all aspects of ME/CFS. The proceedings were subsequently published as the 724 page seminal textbook on ME/CFS (The Clinical and Scientific Basis of Myalgic Encephalomyelitis Chronic Fatigue Syndrome, edited by Drs Byron Hyde, Jay Goldstein and Jay Levy; The Nightingale Research Foundation, Ottawa, 1992). The conclusion of the Symposium was plain: ME/CFS is a true organic disease, with abundant evidence of its organicity. Wishing to make sure that the press corps understood how serious a disease ME/CFS is, Cheney continued: “I think it’s really important for members of the press to recognise that what we’re talking about here is not common fatigue….What we’re talking about here in this systemic illness is that the debilitating fatigue is one of the primary symptoms, as it is in almost all autoimmune diseases and many other systemic diseases….We need to constantly separate out people who have common fatigue from people who have this illness….People who have competent immune systems don’t get bad diseases like this in any numbers….Retroviruses have the capacity to impair immune systems in a subtle way”. In response to a question as to why ME/CFS is more common in women than in men, Cheney said: “There are a number of immunologic problems in which women dominate. Lupus and MS are examples. Immunologic disturbances are seen more commonly in women….In MS you have a ratio of two to three women to men”. At the conclusion of the press conference, when Drs Paul Cheney and David Bell were asked to comment on how seriously ill ME/CFS patients are, Dr Cheney said: “These patients’ …ability to experience life is destroyed. You see their entire social structures, work interactions and family units, come crashing down….It’s an unbelievable illness” and Dr Bell said: “ At the tip of the iceberg there are some patients who have it in extremely severe form and it can destroy their lives….So even without the injury caused by medical mismanagement, there’s a very significant disability caused by this illness”. 23rd November 1990: Notes of the ME Study Group Meeting record that, in complete disregard of all this circulating biomedical evidence, contributors to a Press Briefing on ME by the Royal Society (one of the oldest scientific institutions in the world) that was designed to inform medical correspondents about ME emphasised the psychiatric approach: muscle abnormalities were stated to be secondary to inactivity, and reassurance together with graduated exercise were considered to be the best therapeutic approach. Psychological factors that pre-disposed, precipitated and perpetuated “fatigue” syndromes received considerable prominence, and one contributor attributed ME in children to school phobia.